Does Master Khan remind anyone else of Tiger Claw? So after revisiting both cartoons, Master Khan really reminds me of Tiger Claw. Both have similar sounding voices, and Khan was one of Shredder's main Elite warriors who was trying to restructure the Foot Clan in his absence, similar to the way Tiger Claw leads Shredder's forces in the Nick cartoon. There's even a Tiger mutant in the background of Turtles Forever, maybe Khan got changed into him. More of a combination of Tiger Claw and Tatsu! Yes, but more people are familiar with Tiger Claw given he was one of the main villains of the Nick cartoon and was there in almost every major episode since his debut in Season 2, whereas Khan is only in the very last season of 2k3. They might have had similar roles, as in, trying to rebuild the Foot in Shredder's absence, but no. I never really saw it as such. I mean c'mon, not every TMNT character is forced to be based on or some sort of re-imagining of a previous character. You need something new or the overall franchise will eventually die out with people getting tired of repeat after repeat. If they never added new characters, we never would have gotten Bebop, Rocksteady, Krang, Hun, Bishop, Armaggon, Tiger Claw, Shinigami, Koya, Kitsune, Alopex and so forth. Let's hope Rise adds some decent new characters if it's at least somewhat interesting for our general age group. Every previous character will be retrofitted to fit the the following established character as long as it has enough similar traits. Alopex is nothing more than a re-skinned Ninjara too. Nick even made her have brown fur too making her look even more like Ninjara. 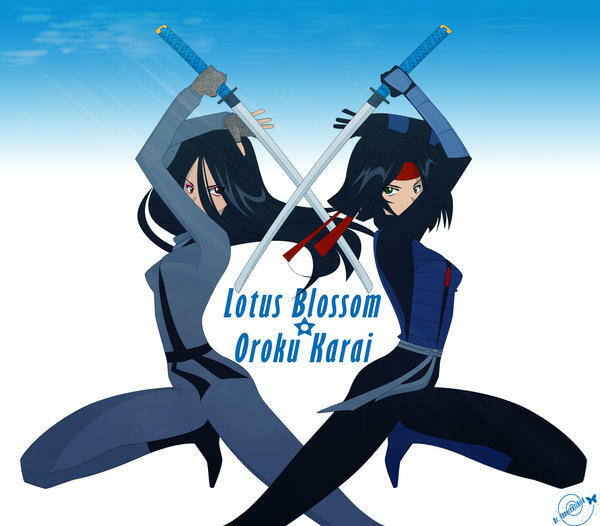 Now Lotus Blossom and Karai is one that I DEFINITELY see similarities. I also consider the Turtlebot Baxter uses to basically be Metalhead, since its just another robot Turtle. They didn't even name it in the episode, "What a Croc" it appeared in. So I consider it Metalhead. 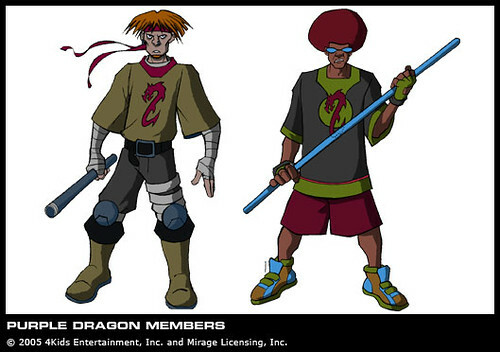 I also consider all the red dragon characters to basically be the same character with different names, like Kavaxas in Nick is Drako from 2k3, etc. Well yeah. That IS Metalhead in What a Croc. All the dragons are basically the same. The Turtles have to fight this mystical red dragon with powers, etc. Also I never realized how similar the tail-end of Season 5's Ninja Tribunal arc was to the Kavaxas arc, with them reviving Shredder by uniting his body parts, like his helmet, gauntlet and heart. Then the last eps in the 2k3 series has them zapping zombies and ghosts that Demon Shredder raises, whereas in the last ep of the Kavaxas/Shedder arc we have a raised from the dead Shredder with a bunch of ghosts raising. Both shows even do the same thing with ghostbuster type weapons zapping them away. In 2k3 Karai, Dr. Chaplain and the Foot were doing that. Then in both series the "ghost" of Hamato Yoshi returns to help the Turtles. In 2k3 Yoshi comes back to help them defeat Demon Shredder, and in Nick we have Splinter return as a ghost who is Yoshi to help them fight off the spirits. I remember during the 2k3 era some in this forum considered Beebop and Rocksteady's gang from the OT as purple dragons. Yeah, and I remember people saying these two Purple Dragon guys in 2k3 seemed to be Rocksteady and Bebop. I can sort of see it, although the black guy has an afro and not a purple mohawk, but the shades make it close enough. And the other guy has blonde hair like every human Rocksteady does. lol.